NO citizen has a right to violate the law and expect full protection from the Constitution, Deputy Chief Secretary to the President Mr George Charamba has said. 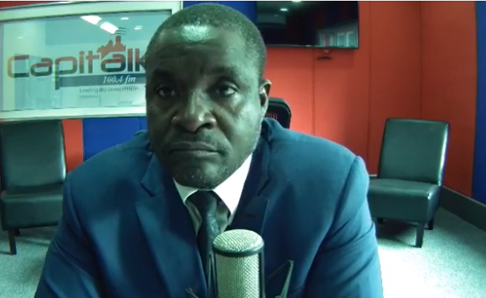 In an interview with Capitalk 100.4 FM radio station yesterday on various issues including the recent violent demonstrations instigated by the MDC-Alliance and civil society allies, which saw lives lost and property destroyed in Harare and other cities Mr Charamba said the Constitution must be understood well. “(When) citizens challenge the authority of State, take law into their own hands, causing mayhem and destruction in the country and even going as far as attacking police stations — which are symbols of the administration — it means you are literally challenging, wrestling weapons of war, from serving members of the police (and) army. “It is clear you are no longer dealing with a sheer expression of disgruntlement. You are dealing with a potential threat to law and order and stability in the country,” he said. Mr Charamba said there was a difference between enjoying a right and violating the law. “Yes, the Constitution does give us certain basic liberties; certain rights which we must enjoy and enjoy to the fullest . . . That is a democratic principle, but here is the news for you guys: there is a difference between expressing disgruntlement and taking the law into your hands,” said Mr Charamba. “British people are not happy with the (Theresa) May’s government over Brexit, but I have not read anywhere whey they have tried to stop the traffic of commerce. Americans are not happy with the (Donald) Trump administration. It’s on shutdown (right now), but Lady Liberty has not been pelted with stones. Zimbabweans must not equate demonstrations to violence or equate demonstrations with challenging the authority of the State. We are drifting in an uncharted territory where the fittest survive,” he explained. Mr Charamba said once the demonstrators became violent, Government knew who it was dealing with it. “Government will use a set of mix of measures, which are appropriate to the situation and given those symbolic gestures by way of attacking police stations, trying to wrestle arms of war, we knew basically that we were dealing with a determined demonstrator who was out to redraw the results of the July 30 election and once that happens it means the State will have to react in a very forceful way,” he said. Mr Charamba said enjoyment of rights must be within the confines of the law. “Law enforcement is not a science, when we claim our rights we should do so within the confines of the law. We must not get to a situation where rights get weaponised. There are rights granted by the Constitution, freedom of association, freedom to demonstrate, challenging the state,” he said.